More than just maple syrup. Ever on the look-out for quality sound experiences, we stumbled across a new brand on us, Canada's NAD. With a website awash with great looking meaty headphones and speakers, we decided to get to grips with something altogether more subtle. And so we venture out into the big wide world, iPod in tow and plugged into a pair of NAD Viso HP20 In-Ear Headphones. 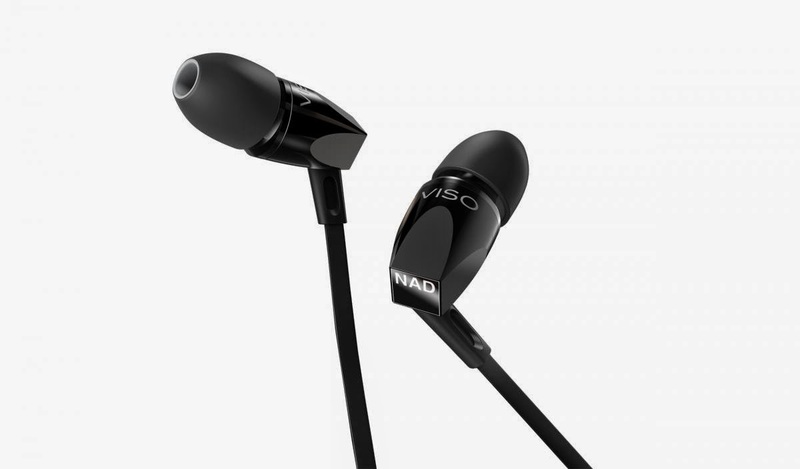 In terms of looks, you don't get many in-ear headphones that look as cool and as neatly styled as the Viso HP20s. The combination of smooth and brushed metal-alloy bodies, along with the super soft-feel silicone ear buds, screams a quality build ethic. They feel suitably firm and dense in our hands, able to withstand even a near-constant battering in your bag, while retaining a light and almost 'not-there' feel when plugged into your lug-holes. 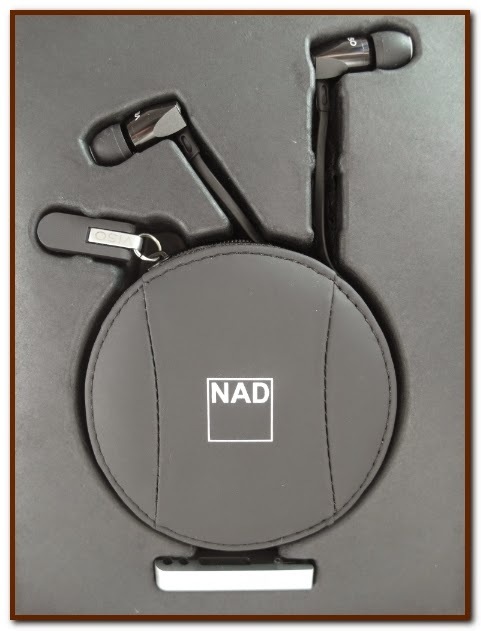 Included with the NAD Viso HP20 In-Ear Headphones are five pairs of those ear buds, so getting a secure fit won't be a problem. They're comfortable to wear and don't produce the 'trapped underwater' feeling that many in-ear headphones do. 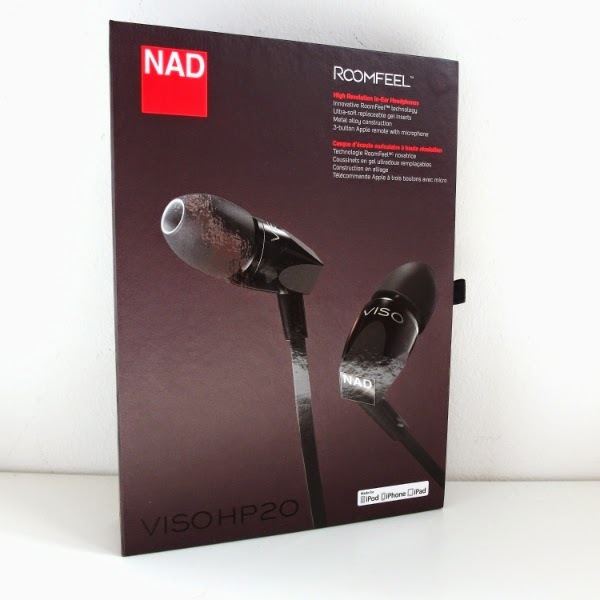 In fact, feeling is what the Viso HP20s are all about thanks to NAD's Roomfeel integrated technology. Basically, what this means is that the headphones have been carefully designed and calibrated to recreate the warmth sound of a live gig. And yes, it does actually work. All genres of music sound rich and deep and you really do get a sense of being surrounded by the music. Vocals and high notes are clear and crisp and free from distortion, even at higher volumes, while the bass is deftly impressive considering this are small and portable in-ear headphones. Along the ribbon wire you'll find a classic three-button remote, styled after Apple's own iPod and iPhone remote. There you'll also find a mic meaning the headphones don't have to come off even when you receive a call. Just as with music, conversations were clear and pleasant (depending on your network and signal) and the person on the other end of the line thought the same about us. 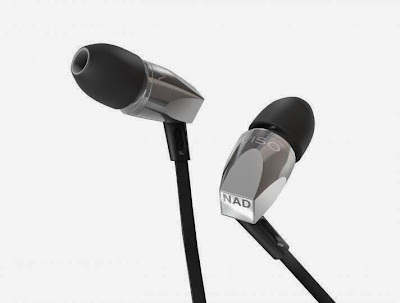 Available in both black and silver, the NAD Viso HP20 In-Ear Headphones may set you back a few quid, but those who relish in hearing fine sound recreation while on the go won't quibble at paying. Great style, amazing sound; perfect headphones.